Once I file a medical malpractice how long until I am paid? - Answer from the MyAttorneyHome FAQ desk. Home › Questions › Malpractice › How long until I get my money if I file a medical malpractice case? The time required to resolve a medical malpractice case varies based on the number of parties involved, how much investigation is needed, the judge, and the schedules of the defendant and the plaintiff. It will also depend on whether your medical malpractice case is settled or whether it is fought all the way to trial. So what are the main steps of the medical malpractice case? First the medical malpractice lawyer will have to investigate your medical malpractice claim. They will have to gather all relevant medical records concerning the alleged negligent medical care and decide whether you have a strong malpractice case. Finally, they will have to have your records reviewed by specialists in the appropriate fields. Next, the medical malpractice lawyer will file a Petition or Complaint in the appropriate court. The Petition includes a statement that a physician has reviewed the medical malpractice case and agrees there has been negligence. Next, the notice is served on the defendants of the medical malpractice case. The attorney for the defendant's insurance will also respond by filing an Entry of Appearance and an Answer or other responsive pleading. Next, each party will complete the fact-finding phase of the case which is called discovery. Discovery allows both parties to investigate the claims of the case by reviewing documents, conducting depositions and completing interrogatories. In many medical malpractice cases either both parties or the court may request mediation. Mediation is an alternative conflict resolution strategy which allows each side to work with a third party, neutral mediator (generally a lawyer) who will help the parties negotiate an out of court settlement. If an agreement is not reached, the medical malpractice case may proceed to trial. 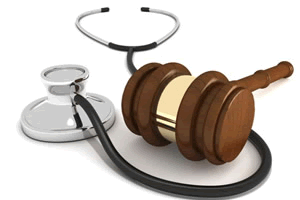 Most medical malpractice cases are tried before a jury who will decide the merits of the case. The trial is similar to other trials and will include jury selection, presentation of each party's case, rebuttal arguments, closing arguments, deliberations and finally, the verdict. The verdict generally can be challenged through post-trial motions, and the judge will decide whether the motions are valid and then issue a judgment. Like other trials, the judgment can be challenged if it can be proven the judge has made a legal error. Experts note that if the judgment is appealed it could take another two to four years to reach conclusion. Most medical malpractice cases are settled; although the number is less than for other personal injury lawsuits. It also should be noted that due to tort reform laws in some states it has become more common for defendants to take medical malpractice cases to trial and refuse to settle.